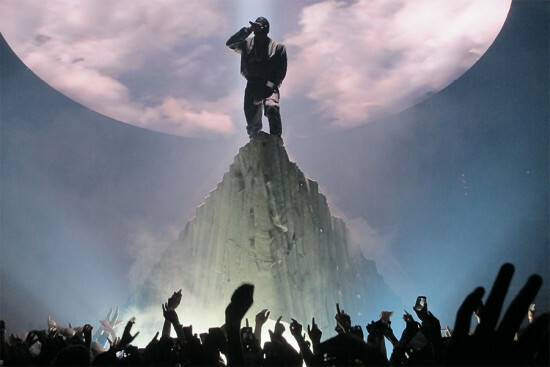 Ironically, there are few surer ways to emerge from obscurity than to be hired by Kanye West. For Romanian architect Oana Stanescu, who designed a 50-foot stage-prop volcano for the rapper’s Yeezus tour, it meant finding a way to reconcile pop culture with utilitarian design. Stanescu and her partner Dong Ping-Wong, of New York–based design firm Family, recently completed the Hong Kong flagship store of Off White, a high-end streetwear brand founded by Virgil Abloh, West’s creative director. In a recent interview with the New York Times, Stanescu declined to reveal what other Yeezus-related projects are forthcoming, but she was reportedly hired to baby-proof and redesign the 9,000 square-foot, faux-French-Italian Los Angeles mansion the rapper shares with wife Kim Kardashian and daughter North West. West made an appearance at +Pool’s Fall Swim Benefit in at Jane’s Carousel in Dumbo to support Stanescu’s project, set to be the world’s first water-filtering pool when it opens in 2017. 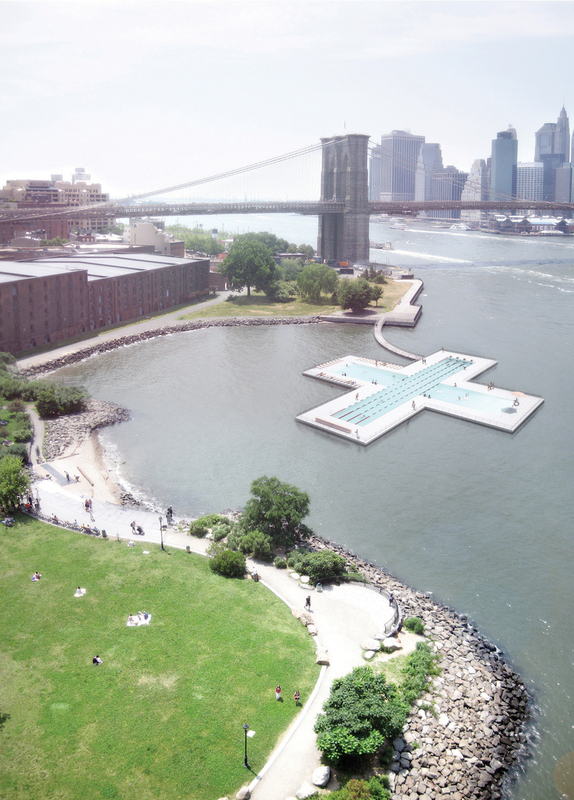 The plus-shaped pool can reportedly clean 500,000 gallons or river water per day. Meanwhile, Stanescu has been photographed accompanying West on architectural field trips to seek inspiration for his pared-down Paris home, where she is adding a baby room. But she is not the only top designer West has consorted with—the rapper has also consulted household names Dirand, Vervoordt and Tristan Auer, neglecting an unspoken competitive code of conduct in the design world. “Right now Kanye is just sponging things up, observing how these people work,” Stanescu told W magazine. The architect first met West when he hired Rem Koolhaas’ Office of Metropolitan Architecture, where Stanescu used to work, to design a viewing pavilion for his short film Cruel Summer at the Cannes Film Festival 2012.